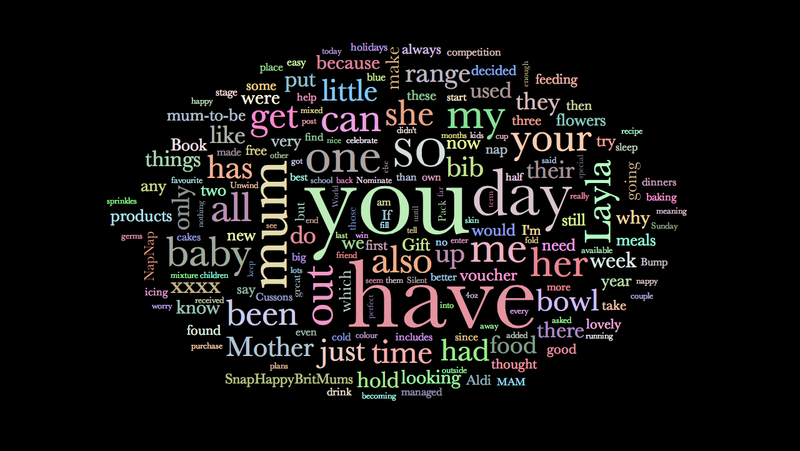 I saw on Emmy's Mummy's blog that she had made a Blog Word Cloud. This idea intrigued me. It looked simple enough to do and I was interested to see which words it would pick to use on mine. All of the words picked were clear to read and I absolutely love how a couple of the really prominent words are Mother and Mum as that is what I am and love being!!! This is so easy to do so why not try it yourself, all you have to do is click here press the refresh button on the left hand side of the page and choose which platform you would like to use. Then find out what your word cloud says about you. I would love to see what you come up with, so why not leave me a link to your clouds. It would be nice of you to pop over to Emmy's Mummy and show her too seen as she gave me the idea. I hadn't seen this before, but it looks really sweet ~ I know my daughter (8) would love it ~ I might see if she wants a go later choosing her own words, then print it out and frame it ~ okay, next art~ish activity planned!